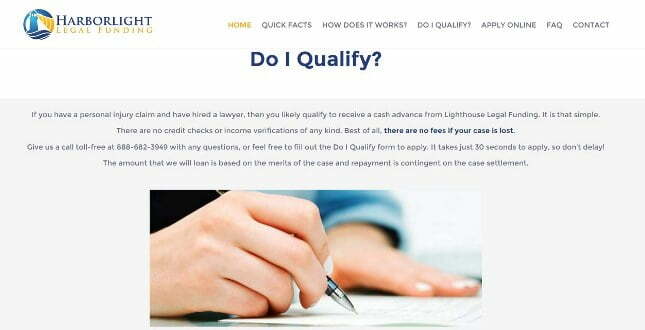 Harborlight Legal Funding helps individuals injured in accident obtain cash advance against their pending lawsuits. It provides financial assistance given in exchange for a portion of the anticipated settlement that can be used for living expenses, replacement of the vehicle, medical expenses, surgical funding, paying bills, or other needs. 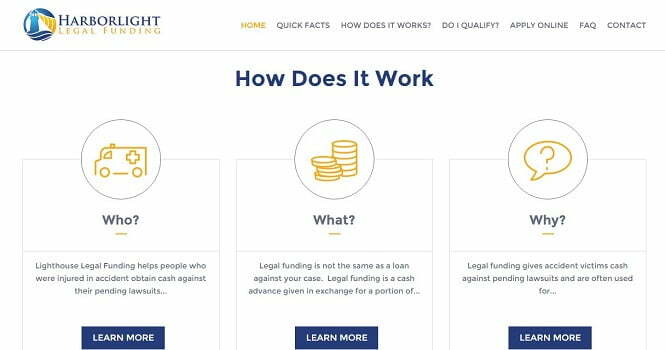 Harborlight Legal Funding did not have a web presence, and with the rising number of clients, they needed to take strategic advantage of having a robust website and gain traction in the legal funding market. 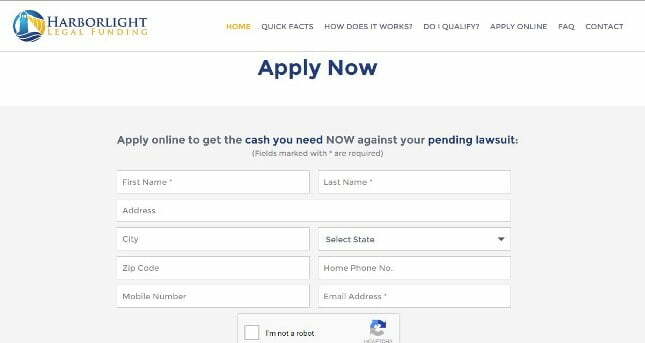 The client also needed a platform to give an option for clients to directly apply online for receiving a cash advance in order speed up the transaction process. Harborlight Legal Funding approached Pulse solutions to help design an elegant website that helps represent their growing business and manage the increasing base of customers. Our plan was to simplify maintenance of the website while providing an engaging experience for the user. After conducting an in-depth study of the client’s business and its exigencies, we researched the designs trending in the market. Working closely with the client, we proposed several design layouts and zeroed in on a feature-rich, elegant WordPress theme. Designing the new website has allowed Harborlight Legal Funding to expand their customer base and improve customer satisfaction. Through the website, not only did Pulse Solutions help the client to take advantage of the growing Internet marketplace, but also provided a platform for users to apply online for a cash advance, speeding up and streamlining the entire process.